The raspberry (Rubus idaeus) is a fruit-bearing shrub that spontaneously grows in countries which have a moderate climate. This shrub has a bushy aspect, with creeping sprouts and straight stems, which are bended towards their tips. This plant has started being grown due to its fruits which have a specific aroma. Its fruits are used in the food, pharmaceutical and cosmetic industries. The popularity of this fruit is supported by its complex content. These have: organic acids, sugar, fragarine, vitamins (A, C, E, B1, B2, B5, B6), carotene, cyanine, salicylic acid, copper, calcium, iron, iodine, potassium, magnesium and phosphorus. This shrub has a side-developed root system, which can grow in the soil to a 30-40-cm depth. It grows sprouts on the roots, from where other plants can grow. The young branches are vertical, or easily inclined towards the tip. The fruit bearing sprouts will grow on these branches. The leaves have a long petiole, are placed on both sides of the branches and their shape is oval-lanceolate. The flowers are hermaphrodites, placed on the side ramifications which grew on the one-year-old branches. 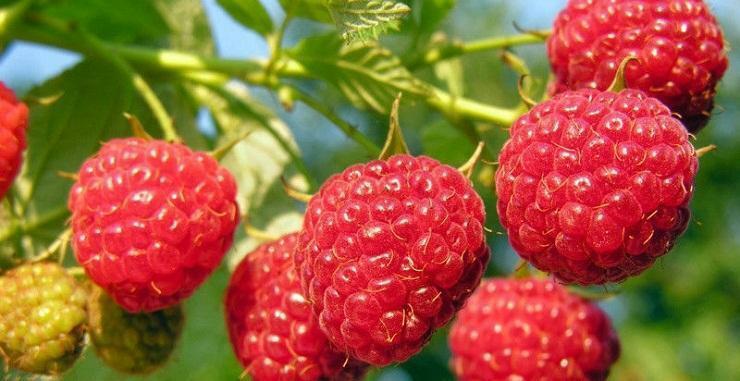 The raspberry is an aggregate fruit, of a red or yellow color, which can be easily detached from its receptacle once it has reached maturity. The raspberry has high light requirements. If it is exposed to good light conditions, it produces quality fruits, it grows fruit-bearing buds on the entire stem and it strengthens the shrub when it comes to frost. From a temperature point of view, the raspberry has medium requirements. If the wood has reached its full maturity, the shrub can withstand temperatures as low as -20 degrees Celsius. The best results can be obtained in areas where the rain measures a minimum of 700 mm per year. 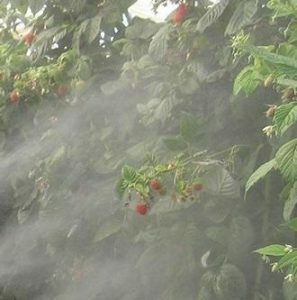 Besides the soil humidity, the raspberry also needs a high atmospheric humidity. If these conditions are not fulfilled, the shrub will have a small and flavorless production. The soil must be rich in humus, permeable, well aired. The soil’s pH must range from 5.6 to 6.5. The raspberry is demanding when it comes to the predecessor crop. The best results can be obtained after grains, corn, cabbage, blackcurrant, gooseberry, etc. This must not be planted after potatoes, tomatoes, eggplants, due to the common diseases (verticillium wilt). All spontaneous raspberries which grew around these parcels must be taken out. The soil must be prepared since autumn. After the previous crop has been harvested, all the vegetal residues from the parcel must be gathered and taken out. Leave the soil untouched for 1-2 weeks to allow the weeds to grow, and then herbicide it using Roundup Classic, Roundup Energy. A week after it has had herbicides applied, apply base fertilizers, using 30-40 tons of well decomposed organic compost and 400-500 kg of complex NPK fertilizer. After it has been fertilized, the soil must be earthed up at a 40-50-cm depth. If this is something you cannot carry out, plough the soil at a 30-cm depth, using the hoe, the cultivator, etc. This step can be done during autumn (between the 20th of September – 15th of October), or during early spring. Due to the climate conditions, in countries with moderate temperatures, planting during autumn is recommended. The main method of starting this crop is by using the buds which grew on roots. These will have to be purchased from certified nurseries, or from authorized research stations. 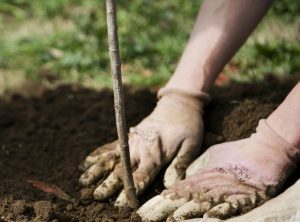 Before planting, the roots must be mended. The wounded roots must be taken out, the root system must be cut at a 15-cm length. The raspberry’s roots get easily dehydrated. This is why, after mending the roots, these must be placed inside a water bowl for 10 hours. To favor the roots integration in the soil, these must be taken out of the water bowl and placed into a mixture of yellow soil, cattle organic compost and water. After the planting material has been prepared, the holes must be dug. This needs to be done 2-3 days prior to planting, the holes must have the following dimensions: 40 x 40 x 40 cm. For a precise planting, the parcel can be marked. By doing so, the future rows are marked and so are the spots of the future plants. The following planting scheme is recommended: 1.5-2-m distance between the rows and 50-80-cm distance between the plants on each row. The correct planting depth is 30-cm. Pour a mixture of 50% fertile soil (taken out from the surface of the soil) + 50% well decomposed organic compost at the base of the holes. Place the roots well spread on the bottom layer and cover them using soil. After planting, the soil surrounding the seedlings needs to be pressed. Make a 10-12-cm high anthill around freshly planted shrubs. After this, the seedlings must be shortened so that only 2-3 buds are after above the soil (anthill). To ease the maintenance procedures and the harvesting process, the raspberry crop needs to be supported. The best system is the one formed of espaliers and wires. The espaliers need to be placed on a row, at a 8-m distance between one another and a 60-cm depth. Put wires on these espaliers as these will support the raspberry plant. 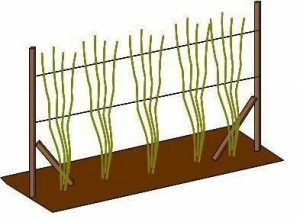 The raspberry plant can also be supported by placing a stake next to the plant and by conducting the plant to grow on it. 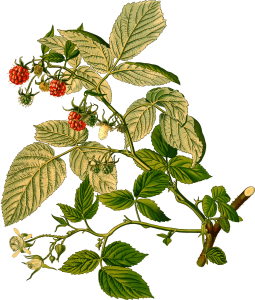 As any other fruit-bearing shrub, the raspberry has the tendency of growing carelessly. This is harmful as the plant will also grow greedy sprouts which consume the sap needed for fruition. It also thickens the foliage and it leads to leaf diseases. The needed cuts for the raspberry crop are simple. The best results can be obtained when the cuts are carried out during autumn, after the plant has entered the vegetative rest period. During the first vegetation year, the 2-3 buds which remained after planting, will develop flower bearing sprouts. At the same time, the buds which grew on the roots will form new plants (seedlings). During the second year from planting (in autumn) take out some of the sprouts which grew from the seedling sprouts, so that the flower bearing sprouts are equal to the seedlings which grew. For example, if the shrub has had fruits and flowers on 5 branches, you will only have to keep 5 seedling branches on the plant besides these. During the third vegetation year (in autumn), take out the 2-years old branches (these will usually by dried), and shorten the one year old sprouts to 30-40-cm. The 2-years old branches need to be replaced with 6-7 seedling branches, which will form the future shrub. The seedlings need to be shortened at a 100-110-cm height. The remaining growths need to be taken out to favor the development of the new flower bearing stems. The raspberry stems can produce flowers for 2 years. The cuts applied to the raspberry plant need to eliminate the 2 years old branches that will no longer bear fruit, and to replace them by 5-6 vigorous branches (seedlings) that will support the fruition. At the same time, take out the wounded or dry branches. The raspberry plant needs a well aired and weed-free soil. This is why the distance between the rows cannot be planted. To keep the soil clean, plough it 2-3 times. 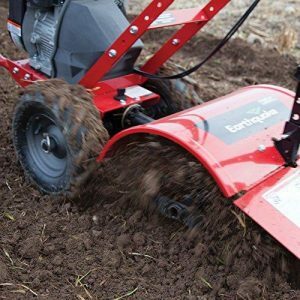 During autumn, the soil need to be ploughed at a 10-cm depth and during the vegetation period, this needs to be superficially carried out, at a 5-6-cm depth. If the soil is heavily infested by weeds, herbicides need to be applied. Products to be used: Pantera, Leopard, Fusilade, Centurion. Be very careful as during the first 2 years from planting, herbicides must not be used. To reduce the water evaporation and to prevent weeds from growing, the soil can be covered using hay-based compost or a polyethylene foil. This shrub’s production is highly influenced by the shrub’s health. 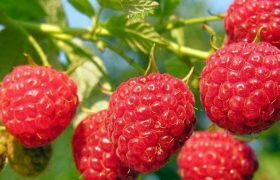 The raspberry is affected by a series of diseases which can destroy the plantation. 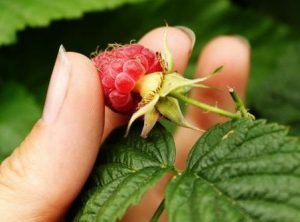 For more information about the diseases and pests which affect the raspberry crop, as well as the proper prevention methods, please click here. To reach its maximum production capacity, the raspberry plant needs irrigations and extra fertilizing. In areas where the minimum water intake (700 mm of rainfall/per year) cannot be fulfilled, the crop needs to be watered 4-5 times, using 300-400 cubic meters of water per hectare. The first fertilizing phase needs to be carried out 2 years after planting by applying 40 tons of organic compost and 400-500 kg of complex NPK fertilizer. The following fertilizing phases need to be carried out annually, reducing the dosages by half. The fertilizers are better absorbed if applied during autumn. Leaf fertilizers can also be applied, using Cropmax, Amalgerol, Raykat Engorde, Florone. The fruits reach maturity in several stages, during a period of 20-30 days. This is why the raspberry needs to be harvested in more than one go, it needs to be harvested once every 3-4 days. The harvesting process needs to be carried out during morning or evening. The fruits need to be detached from the plant, without its receptacle. The raspberry fruits are highly perishable. In normal storing conditions, the fruits won’t last for more than a few days.